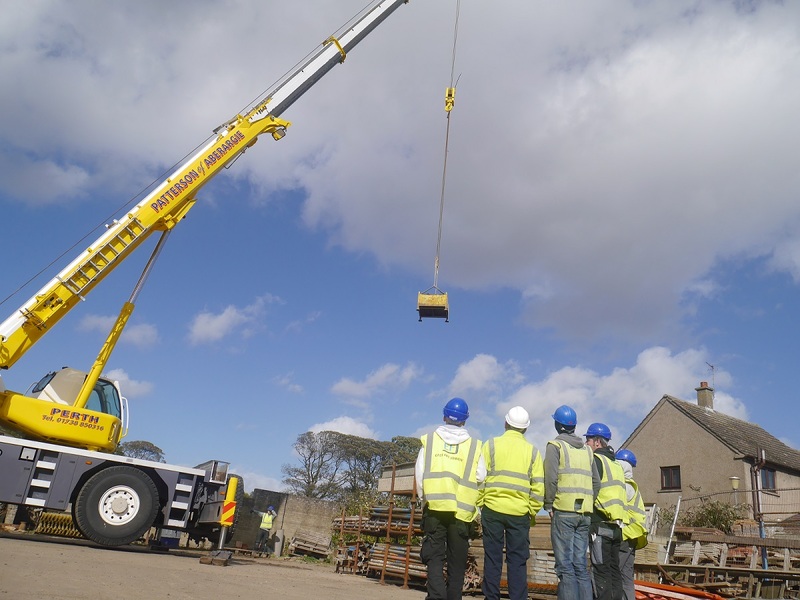 East Fife Joinery has recently taken on four new apprentices, one joiner, one bricklayer, one plasterer plus a trainee administrator in the office. The firm believes that developing the next generation of skilled trades is critical to the long term sustainability of the construction sector. East Fife Joinery, are concerned at the potential skills-shortages in the construction sector and the danger they pose to the long term sustainability of the construction industry, coming out of the recession we need to have the appropriate resources and people in place to maximise on opportunities. EFJ has retained a large directly employed workforce during the recession when others took a different path. We have taken the decision to increase our workforce and apprentice programme, and this strategy has positioned the business to take advantage of new opportunities as the construction sector recovers. EFJ are currently on site at a new distillery at Kingsbarns which is nearing completion, started to timber kits in St. Andrews for students accommodation also we started another distillery at Skye plus on site with various other projects. We have also invested in our manufacturing workshop and are able to offer finished windows stairs and doors all hand made by our skilled craftsmen. We will continue to invest in our talent, skills base and partnerships. We are currently on site at the new Kingsbarns Distillery carrying out the joinery package for the main contractors Colorado Group. This is a new distillery based in the East Neuk of Fife near St. Andrews and is partway through construction. The converted farm steading spans 10,000 square feet with the new build distillery aspect of the development covering 6,000 square feet of that space. The site comprises the distillery, café, shop and visitor’s centre. One of the challenges of the project has been striking the balance between housing the industrial process of distillery with the needs of tourists visiting the site. We are working closely with the main contractor and design team to ensure that the project is successfully completed.